RS Aero UK Winter Series round 4, Selden SailJuice series round 5. 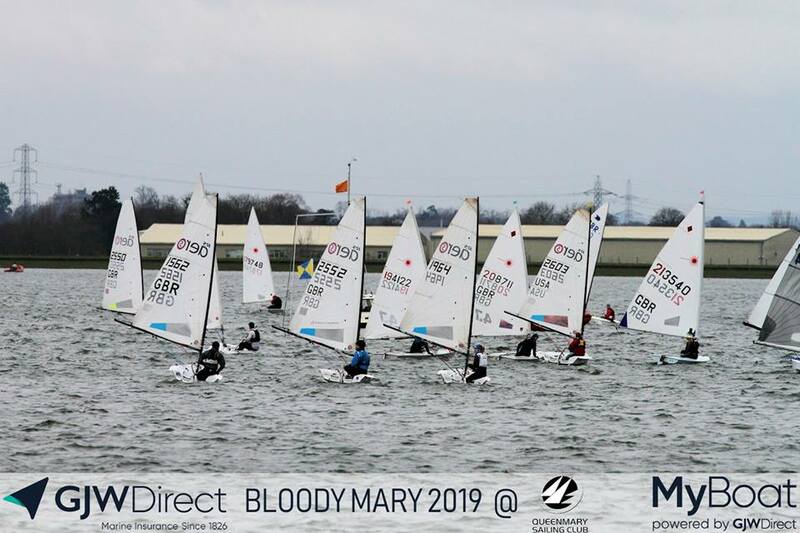 A whopping turnout of 26 RS Aeros at the Bloody Mary provided excellent Class racing within the mass mixed Class event. 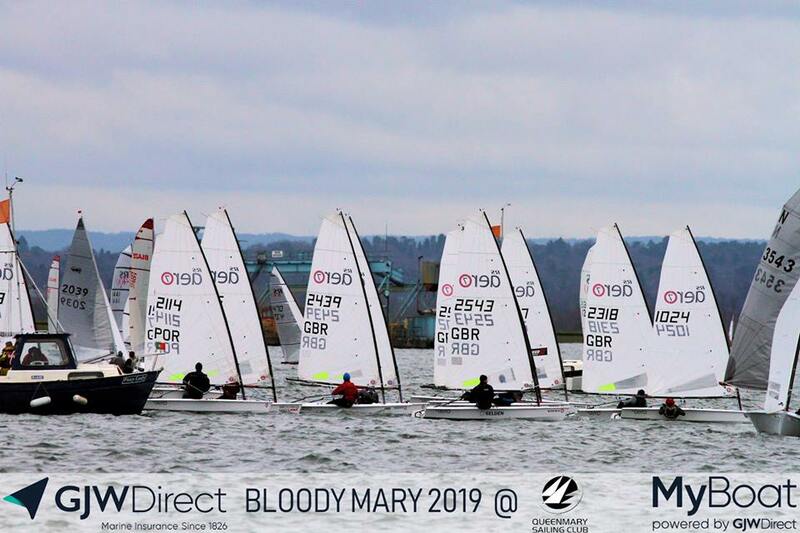 There were 240 entries in total from 56 Classes and the RS Aero 7s were the second largest Class there with 17 sailors! Arriving nice and early to the Bloody Mary 2019 meant unloading was a breeze. Plenty of time for a bacon sandwich and a cuppa’ and to decide what rig to sail. With the forecast showing gusts twice the strength of the consistent wind several sailors were glad of the option to drop to a smaller rig. Once launched and line bias checked six RS Aero 5 rigs had gathered to start 2 minutes after the radials and solos. Up the first beat, the group were very close, but as the race went on Sammy I-J led for the first lap. Half way through the second lap, Sammy made a silly mistake, being mark trapped by a solo (doh!) and Toby Schofield very speedily caught up. This closing of the gap enthused Toby who shot past and went on to take the RS Aero 5 win, finishing 72nd overall, leaving Sammy in 2nd place RS Aero 5 and Lily Barrett, who had raced consistently the whole race, in a close and tidy 3rd. 6 minutes (probably what felt like very long minutes) after the start of the 5’s, it was time for the RS Aero 7 fleet to start. Off the start Tim Hire and Karl Thorne shot off to the right hand side of the first beat. For Tim, this paid off, popping out in the lead around the windward mark, closely followed by Nigel Rolfe. Being that little bit later in the pursuit style start meant this fleet had more boats to tussle with and to try and get past. This included 420s, OKs and lasers. Tim and Nigel with their clear winds pulled away and extended a useful gap. By the end of the second lap, Tim had overtaken all of the RS Aero 5 fleet and went on to win the RS Aero 7s, finishing 27th overall. Peter Barton slowly pulled through after a slow first lap to overtake Nigel for 2nd. 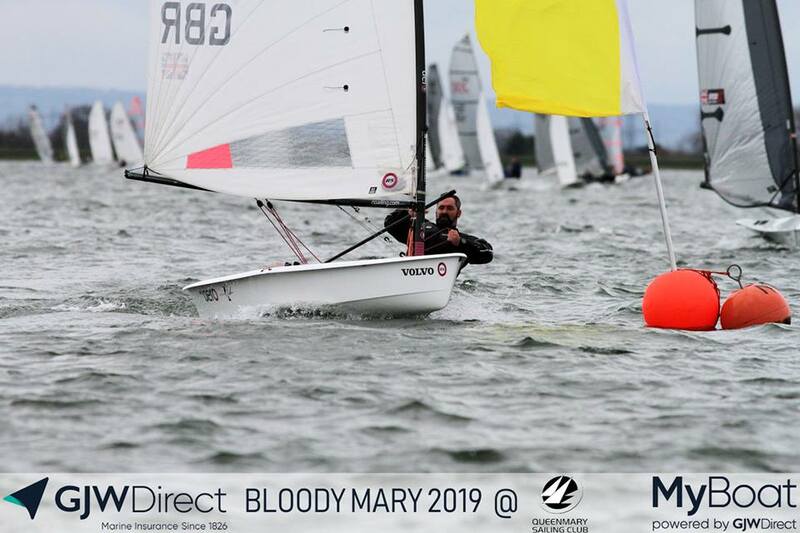 The RS Aero 9 fleet was upheld by 3 sailors, Chris Larr, Thomas Ehler and Richard Watsham who powered on in the big gusts with larger boats around them such as the Blazes. They sailed flat out, progressively catching the RS Aero 7s and finishing in the middle of the pack. Chris went on to take the win the RS Aero 9s with a creditable 84th overall, Richard took 2nd and Tom 3rd. 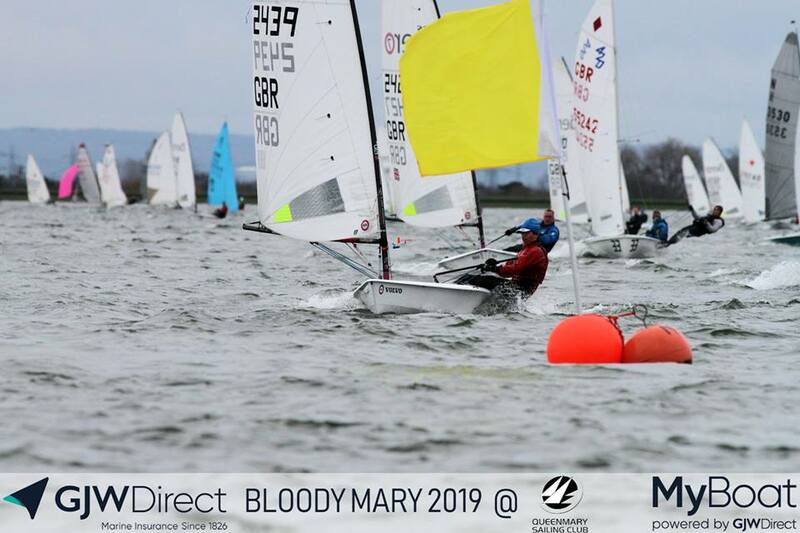 It was a hard day's racing as it was a long race in the fresh breeze - but what a huge day out! Bloody Mary, see you next year!